Apex Learning will help you design, implement, and manage your unique virtual program or school implementation. Flexible instructional management features and services allow districts to tailor programs to meet the wide range of student needs. The Temecula Valley Unified School District was looking for a solution that would offer students the option of a college prep education with the flexibility of using digital curriculum in a nontraditional setting. Temecula Advantage Virtual School partnered with Apex Learning to support both full-time virtual and concurrent students to earn original credit. 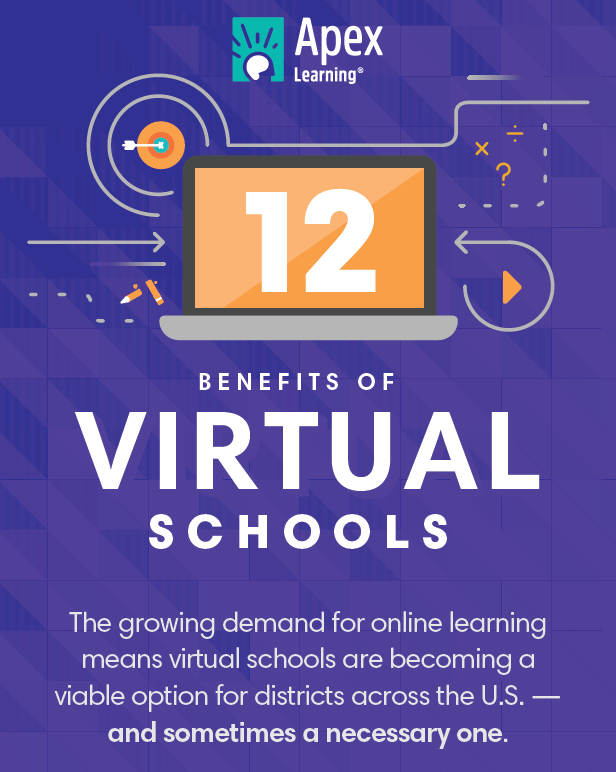 Big Rapids Public School district currently has a highly regarded virtual school that serves students from both their own district and surrounding districts. However, with a previous digital curriculum provider, they found that the quality and support — for both students and teachers — was inadequate. Apex Learning provided a solution that helped the district meet their criteria for a high-quality curriculum. Students attending small, rural schools gained access to AP® courses through a virtual learning environment. A total of 5,135 members of Iowa's graduating class of 2010 took at least one AP exam while in high school, a 9.5 percent increase over the previous year and more than double the number 10 years ago. Not only did more students take AP exams, but they also outperformed the national average by 3.4 percentage points. EVSC created this great video to explain why their virtual learning program is so effective.